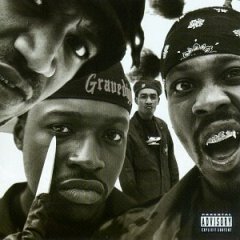 In 1994, hip-hop supergroup Gravediggaz created the single most important album for the horrorcore sub-genre. Though not a huge commercial success, 6 Feet Deep is a landmark album of hip-hop history. Worth Your Time? Place it at the top of your Albums to Listen to Before You Die list. Twitter Review: One of my all-time favorite albums with lyrics and production both achieving levels rarely seen with so much raw talent entombed in 6 Feet Deep. From Start to Finish. On both the album and track level this album flows effortlessly as the tide. The Just When You Thought It Was Over sets up the tone of the album flawlessly with Chopin’s 3rd movement from Piano Sonata No. 2 in B-flat Minor, Op. 35. It’s obvious Prince Paul, who produced nearly all of the tracks, put an enormous amount of care into this album. Gravediggaz was his baby after all. Even the tracks roll from one to another such that you would swear it was one song despite using different beats. Defective Trip (Trippin’) starts out with Too Poetic and Frukwan getting high and about to start about on their ill-fated drug journeys. The music immediately transitions to a surreal beat until the first verse starts up. Later, 6 Feet Deep starts out with one of the most memorable intros of the album with a excerpt from jam session by the 4 members screwing around on instruments. RZA, being the genius that he is, turned that tinkering into an entire track. The album ends with Rest in Peace (Outro) summing up the album almost like a 6th grade book report as names and track titles are called out creating a very unique ending. The Grym Reaper. I know RZA is straight up raw on this album. I know this. But the majority of memorable lines for me come from Too Poetic. His word play combined with energetic delivery make for some unforgettable moments. Sadly, Anthony Berkeley aka Too Poetic aka The Grym Reaper died on July 15th 2001 from colon cancer. Just given his work on this album alone, his premature death is a tragic loss for the hip-hop community. An Excerpt from the Diary. There is an incredibly eerie female vocalization used as a loop in Diary of a Madman. RNS made this loop which RZA showed to Paul which is how it ended up on the album. What’s crazy is where the haunting vocal comes from: a Johnny Mathis song. Crazy, eh? What’s even crazier is the whole courtroom scene was all thought up and put together by Paul AFTER all the verses were recorded. If that’s not a testament to his god-like production skills, I don’t what is. It’s the Little Things. As a final testament to Paul’s skillset, he took a verse done by RZA that should have been re-recorded because RZA messed up in his delivery and turned it into this completely natural transition point by adding in a kung-fu movie sample. You really have to listen to this album to appreciate all the little touches going on with the beats. Little things are added and taken away from the beat as the song switches between rappers. Anything Else: I’m really annoyed of how people reacted this album both before and after it was made. First, it took them years to even get signed to a deal to make the record because everyone thought it was a gimmick that was just too out there. This album is not a gimmick. Far from it. This is some of the best hip-hop you will ever listen to. It represents the emotion of four men grown tired with the music industry unleashed in an incredibly dark atmosphere. Paul stated in numerous interviews that he was going through depression at that time and that the music reflects that. He even admitted later to crying as he saw other rap groups came out with actual gimmicky horror albums that destroyed everything pure about his intentions. Moreover, I’ve read some initial reviewers describe this album as silly. To me, that’s just a complete insult. That’s like calling the original Nightmare on Elm Street silly when Wes Craven dreamed that movie up to tap into your deepest most basic fears. Finally, I could spend another 1,000 words explaining how important and influential Prince Paul and RZA have been to hip-hop but I’ll save that for other reviews. For now, just trust me on this or go educate yourself.